The observable signs of aging are most evident on hands and feet due to their regular exposure to sun and other elements. As we age, our hands and feet lose much of their fatty tissue, causing the once smooth skin to look sunken and bony. 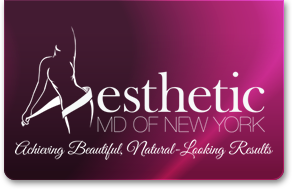 Dr. Adler can help restore skin plumpness and suppleness with a variety of dermal fillers. Dermal fillers can be used to return volume to your hands and feet, thus restoring a more youthful appearance. Using dermal fillers is one of the best options to replace volume to the skin of your hands and feet that is lost over time. Hyaluronic acid is a safe and effective option to smooth out fine lines and to plump up sagging skin. The injected natural compounds help the skin look young again. Radiesse®, an injectable nontoxic substance, gives long-term results in revitalizing skin. The results of Radiesse® can last up to one year, with the added benefit of encouraging your body’s own collage production.